email or phone us with your cellar information Tel. 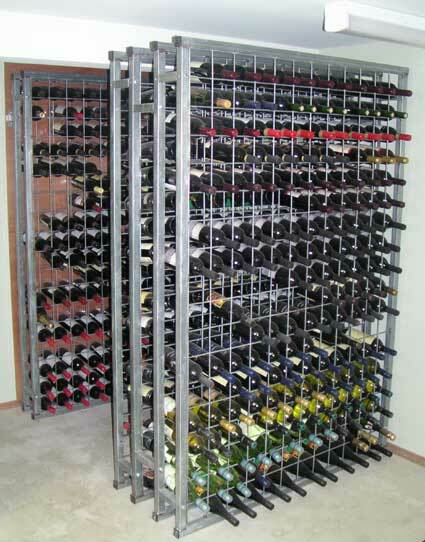 1800 70 70 72 - you can use this sheet to sketch up your wine cellar if you like wine cellar plan. 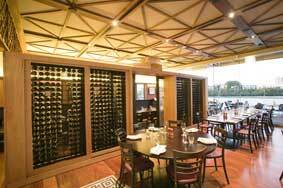 We also have an Interior Designer who can visit your home, restaurant, hotel or wine storage area to ensure your racks are designed and installed to complement your decor. 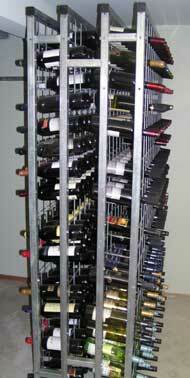 Pictured here are 3 Standard Large Wine Cellar Racks. The front 2 have been installed back to back. Each of the 3 racks here is 18 bottles high x 12 wide. There are 216 bottles in each of these 3 racks. 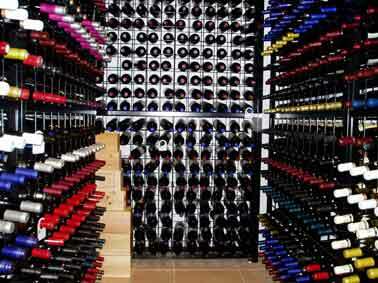 This wine cellar holds 648 bottles (54 dozen). 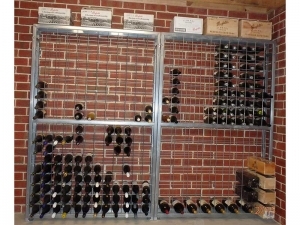 This cellar has powder coated wine racks. Powder coated racks are often used when the racks are installed within the living area of a house or, in commercial premises, to impress the customers. This picture shows how a single rack is attached to a wall. Two of these brackets are used on each rack. Wine bottles are stored on a slight angle - keeping corks moist at all times. 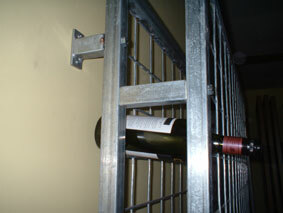 Some people encase our wine racks with joinery units. This is one of our powder coated racks at Kingsleys Steak & Crab Restaurant in Brisbane. Two racks "back to back" are pictured here.